That’s the title of our most viewed and most controversial video on Youtube. The video is very simple. All we do is teach a complete beginner how easy it is to break a 1 inch board with the open hand. All the instruction is right there in the video so anyone could try it and see for themselves. People hate that video. They hate it with a passion. They hate the title, they hate the uniforms, everything. But what people hate the most is when we say that the open hand is better than the fist. So just in case any of our Youtube haters also read this newsletter here are 7 more reasons to get mad. 2) The fist is less powerful than the open hand. The open hand is simply more powerful. Sure, you could train up your fist (and we do) but your open hand will always stay ahead of your fist if you train both. The open hand become all kinds of things on it’s way to the target. A fist must open (becoming an open hand) first. The open hand has a penetrating quality that takes a lot of training to duplicate with a fist. 5) You can’t manipulate someone with a fist. 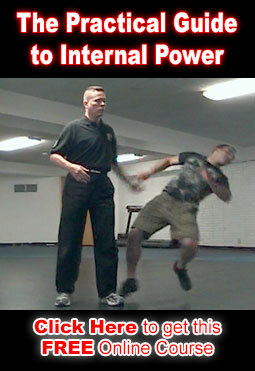 The open hand is much better for controlling an attacker when you want to use them as a weapon. The smaller surface area of a fist means you have to be much more accurate and it’s much easier for the fist slide off, dissipating the force before it enters your attacker. 7) The fist is more dangerous (to the one throwing it) than the open hand. If your alignment is off you can break your wrist & throw out your shoulder or even your back with a punch. Even if your alignment is perfect you can still break your hand on an attacker’s head or elbow. The Clear Defense Method is a crash course in how to make full use of these advantages and destroy the common punching & kicking methods that are so prevalent today. Not only is it highly effective, it can be learned very quickly.